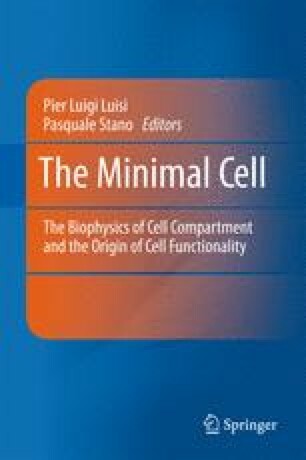 The cell is rich with interfaces. But the role of these interfaces with water has received little attention among biologists, who generally consider water to be a mere background carrier of the more important molecules of life. Hydrophilic surfaces do impact water, and it has been recently shown that the impact is larger than anticipated. Surfaces order water to substantial distances. The ordered water excludes solutes and separates charge. These features not only contribute to the ­gel-like nature of the cell, but also lead to an inevitability that pre-cells will form out of simple environmental constituents. Hence, an experimentally based mechanism is advanced to explain both life’s origin its requirement for water. The consent of Ebner and Sons to reprint figures from Pollack (2001), is gratefully acknowledged.